With the release of his first full-length studio album, veteran Odd Future rapper Domo Genesis has shown that he is able to stay relevant and keep improving. Domo Genesis is a well-known member of Tyler the Creator and EARL Sweatshirt’s hip-hop collective, Odd Future, a West Coast crew that gained notoriety in the late 2000s with the release of several mixtapes and viral videos. Domo Genesis has appeared on numerous tracks with Tyler the Creator and other members of Odd Future, but has largely managed to maintain his own unique style. Genesis is no exception. In comparison to past mixtape releases such as Rolling Papers and Under the Influence, Genesis seems to stay more tightly woven, following similar themes and structures throughout each song. Domo Genesis focuses on subjects in his life that appear genuine and uncontrived. There is a good mix of partying and seriousness in this album as Domo continues to find his voice as an artist. Some of the more upbeat songs on Genesis, including the single “Dapper” featuring Anderson Paak, could easily be radio play selections. However, it does not feel like Domo is trying to make a “hit song” that can get plays. Even with the more “mainstream” tracks, this album feels real and not staged, a rarity in modern day hip-hop. The features on Genesis are eclectic and varied. Of course, there is an appearance from Tyler the Creator as well as Wiz Khalifa, who has collaborated with Domo before. The other features on the album work well. Juicy J even makes a quick appearance on the track “Go (Gas),” and, surprisingly, it is not convoluted nor mismatched. When he is not sharing the microphone with other artists, Domo Genesis sticks to a simple, straightforward flow. One of the last songs on the album, “All Night” features particularly strong solo work on Domo’s part. He talks of how easy it is to fall off in the hip-hop industry and how controlled musicians are by big-wig businessmen: “If you don’t like this song / They’re gonna turn my lights off.” This is a recurring theme in most of Genesis: the question of what it means to be a rapper who is well-known but not super famous. The production on Genesis is straightforward but strong. 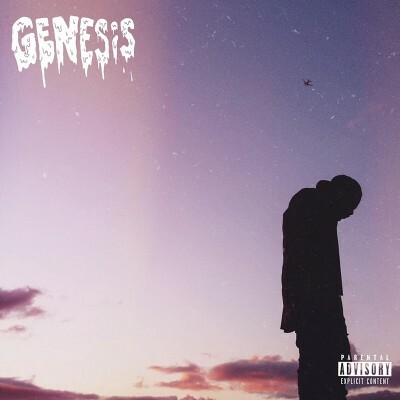 As with his earlier works, Domo Genesis shies away from more contemporary sounding beats, leaning instead toward old-school production. There is a refreshing absence of “trap” style hi-hats and 808 snares, which seem to dominate every new release in hip-hop today. Even the bass on most of Genesis’ songs seems to be put on the backburner. Strong piano melodies and simple synths dominate and pair perfectly with both Domo’s rapping and singing. With many songs on the album, the production seems to have more of an R&B feel, which works well for what Domo Genesis is doing.